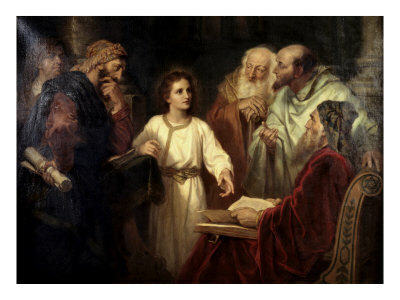 During the Epiphany season we hear from the Gospel lesson about Christ who, at age twelve, astonished the doctors of the law, both teaching and asking them questions. Christ is set forth first as the Wisdom of God, well before he displays any of God’s power through his miracles. Christians are called upon to imitate this in the epistle of the day, by not being conformed to the world, but by transforming their minds. In this homily offered on the first Sunday after the Epiphany, 2015, Fr. Davidson urges us towards the wisdom of God.